This post brought to you by Breakout Games. The content and opinions expressed below are that of The Traveling Praters. 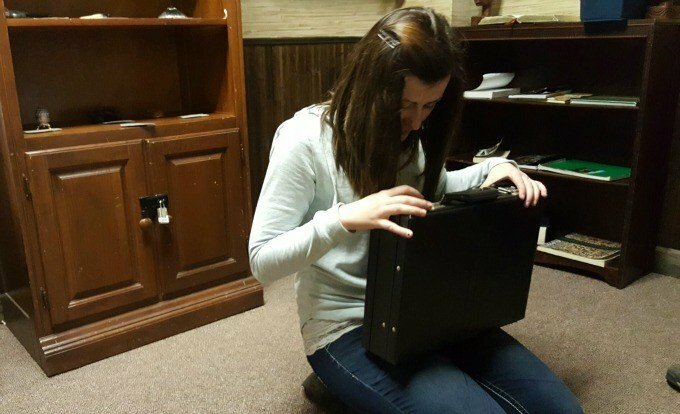 When my family was invited to visit Breakout Dayton Escape Games in Ohio, I really didn’t know what to expect. I thought it would be fun, but other than that, I was clueless. Each Breakout Game is a real-life escape room adventure for a small group (friends, family, or co-workers). Work together as a team to escape the room before time runs out. It’s great for groups of friends, family, or coworkers. You’ll solve puzzles, crack codes, find hidden items, and more in order to escape. 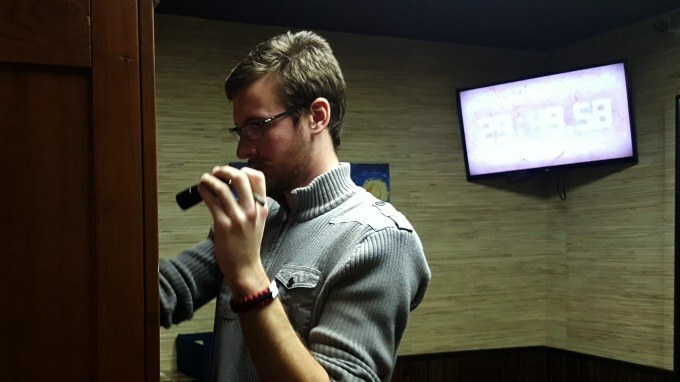 You have one goal: escape the room in under one hour. The Kidnapping- Seek clues a previous victim left behind to escape your kidnapper. 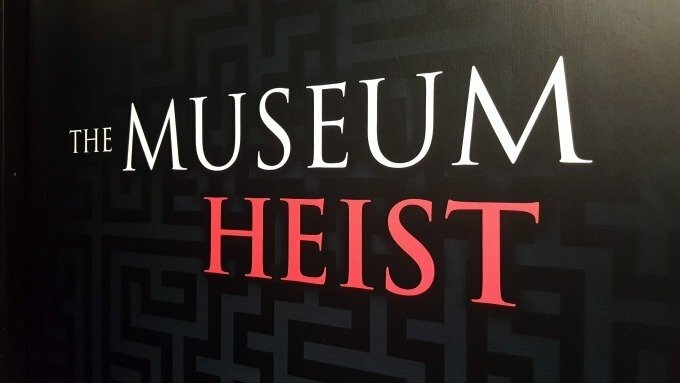 The Museum Heist- Work together to recover missing pieces of art before the opening of a prestigious art gallery opening. Casino Royale- Find an agent has gone missing from the famous gaming complex while investigating organized crime. Island Escape- Seek out a way to escape a tropical island before you’re overcome by lava from an erupting volcano in Island Escape. A new game, Hostage is on track to be released in January. 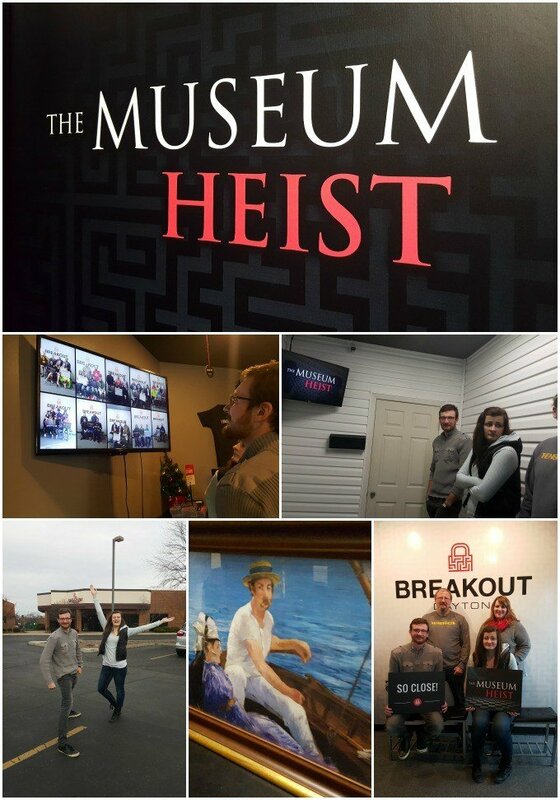 I read the descriptions of the games online and selected The Museum Heist. To book your game, you need to select which game you’d like to play and build your team. Keep in mind that you only have an hour to escape so choose teammates who will be team players. Choose the day and date you want to play and book your game online at the nearest Breakout Games location. On the day of your game, show up at the attraction 15-20 minutes before your game is to begin to sign waivers. You’ll be greeted by a friendly guide who will show you to your room, give you an overview of the process as well as some tips to help you be successful in your endeavor and then lock you in your room or game of choice. You’ll have 60 minutes to solve a series of clues, puzzles, safes, and locks to get the final code that opens the door. If the thought of not being able to escape makes you nervous, don’t worry. You can leave anytime you need to and though the guide does not stay in the room with you, they are watching via cameras and listening to your game so they can offer clues when requested and provide a bit of guidance if you get stuck. After filling out our waivers, we were met by our guide Becca, who lead us down a long, quiet hallway with closed doors, to our game. Entering, we found ourselves on the porch of an art enthusiast, Rupert H. Pendleton’s home. 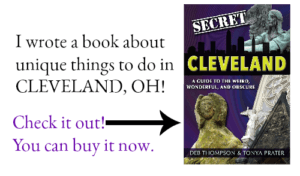 Our job is to break into his home and find the clues that lead us to the stolen art pieces. We have one hour to complete our task. A piece of cake right? After all, we can see the keys to open the lock to the door lying on the porch. Wrong. 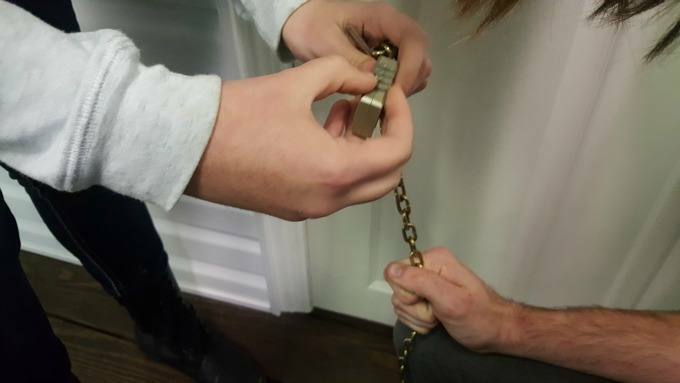 We quickly realize that the key is locked to a chain that doesn’t reach the lock on the door. The clock begins to count down as we begin to search for clues with the code to unlock the combination. Walking into the second room was a bit overwhelming. We weren’t sure where to begin so allow me to give you a couple tips. Don’t be shy. Jump in and look through everything. Be very observant. Pick up items, move items, read everything you see. You want to unlock all the clues as quickly as possible. There were a few times that we wondered what on earth we were doing and had to ask for a clue to help us along. So my advice, if you are struggling, or you’re beginning to get frustrated, ask Becca, or your guide for a clue. They can give you up to three, and if you get really stumped, more are available for a price. Though you don’t know what that price is until you ask. The game was challenging but our excitement grew with the discovery of each clue. And though I’m not logical, analytical or overly observant, it thrilled me when I was able to figure out an important piece of the puzzle. Our excitement grew as we found the last clue with mere minutes on the clock. We raced to find the right combination to unlock the box which held the key to the code and found it and turned the key just as time ran out. That’s right folks, we were not among the 30% who succeed in breaking out, but it was so close that we were all on an adrenaline rush for much of the drive home. 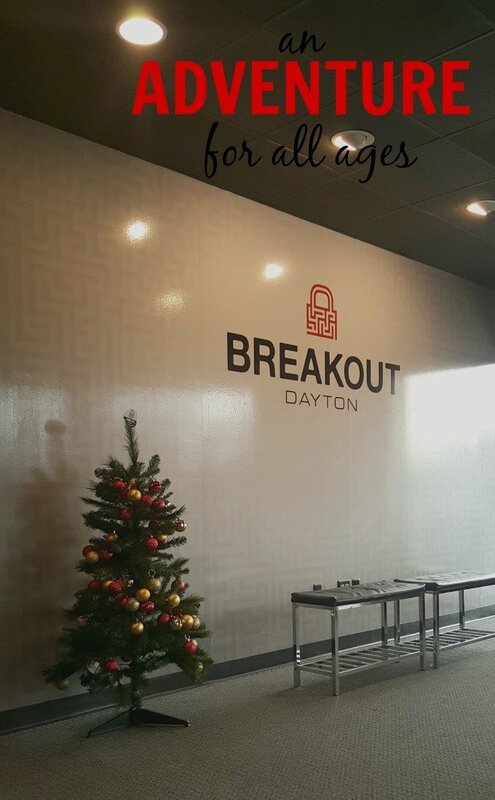 I’ve never had an hour pass by so quickly as the sixty-minutes we spent at Breakout Games in Dayton. On our way home, we talked about which game we want to try next because now that we’ve played one Breakout Game, we’re hooked. 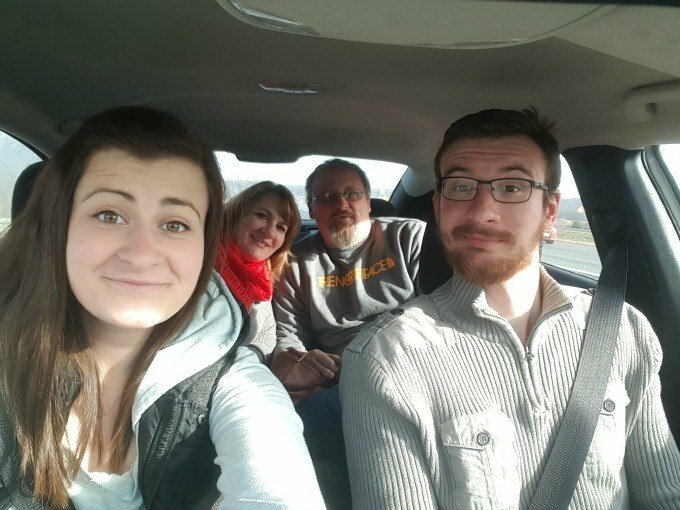 My family travels frequently and we’ve visited many museums and attractions, but we have never encountered anything like Breakout Games. Breakout Escape Games is fun for all ages. You’re not required to do embarrassing things, crawl through tunnels or run to save your life. These are purely puzzle games that you need to solve. This is truly an incredible attraction for families like mine. It would also make an ideal multi-generational family outing, girls or guys night out, and ice breaker on a first date. If you want to see how a potential love interest will react under pressure, take them to Breakout Games! Seriously (and I’m only have joking about the first date), Breakout Games is an ideal way to avoid the winter weather. So dress comfortably, head to the nearest Breakout Games location and slip inside another life for an hour. You can follow Breakout Games on Facebook, Twitter and Instagram for more information and occasional deals. Visit TheBreakoutGames.com to find a location near you and Check game availability. Are you ready for a Breakout Games adventure? 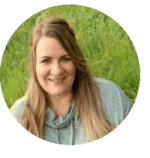 Visit the Website and tell me what room would you most like to escape from? 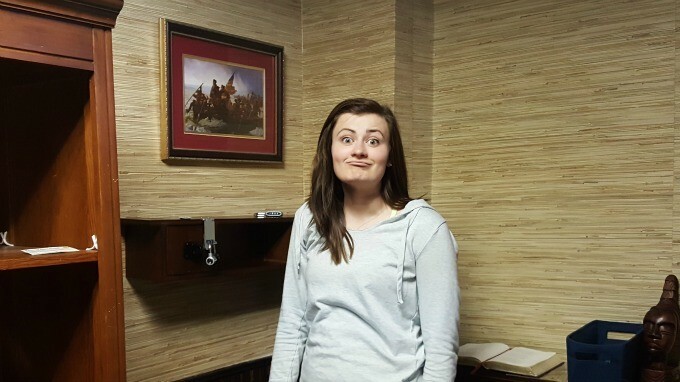 My kids have been telling me about escape rooms so I’ve been looking into them. I like that you don’t have to do anything embarrassing like crawling around to have fun at these attractions. I might have to take my kids sometime and see what all the hype is about! Thanks for sharing.